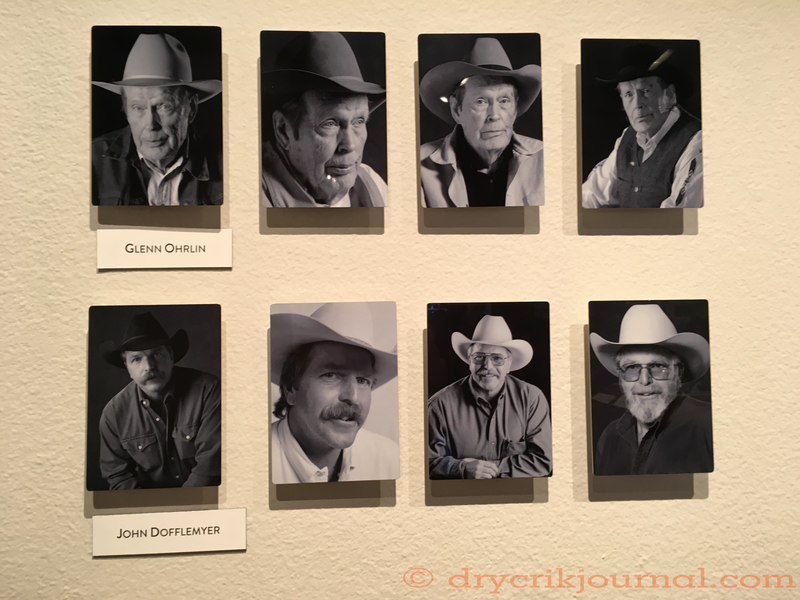 Kevin Martini-Fuller has been taking photographs of all the poets and performers at the National Cowboy Poetry Gathering since its inception in 1985. Many portraits were exhibited this year in the Wiegand Gallery at the Pioneer Hotel, headquarters for the Western Folklife Center in Elko, Nevada. I’m flattered to have been paired in the exhibit with Glenn Ohrlin (1926-2015), a NEA Fellow and friend. I have been certainly blessed to have spent most of my life on this ranch, 31 years of which have also been associated with cowboy poetry and music, a fork in the road that has changed my life, acquainting me with many, many friends scattered across the West. Looking back, it’s hard to believe, but the emotional proof is among the hundreds of images on these gallery walls.